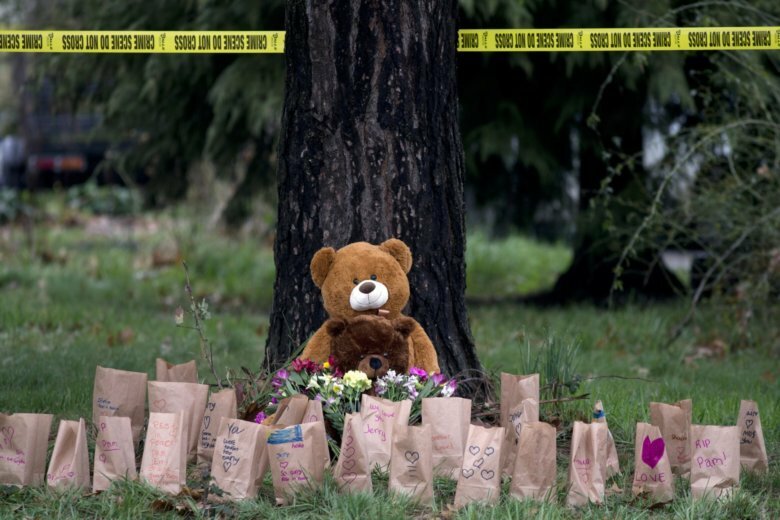 PORTLAND, Ore. (AP) — A memorial of candles, flowers and teddy bears was set upside outside a house where authorities say a man killed four members of his family – including his infant daughter – at the Oregon home they shared. The Clackamas County Sheriff’s Office said 42-year-old Mark Leo Gregory Gago killed his parents, his girlfriend and their daughter Saturday night before deputies fatally shot him. Authorities have not yet released the victims’ causes of death and were continuing to investigate Monday. Well-wishers left messages such “Forever Loved” at the memorial.